Location: Lions Park, 4320 Lions Park Road, Temple, Texas, In Temple at Lion’s Park. ~1057 Canaan Valley Inst. Trail System WV Just east of Davis along Camp 70 Road. The trail is located in a Community Park serving the residents of Temple and residents of Central Texas. This trail is always in use and has attracted a large number of dog walkers, exercise enthusiast and nature lovers. The trail now has one outdoor room that it meanders through. The intent is here is to define spaces along the trail that provide different experiences for the trail user. The existing room is made of boulders and benches. Bradford Pear trees donated and planted by the local Lions Club make up the walls of the room and artwork provides a nice finishing touch (see photos). 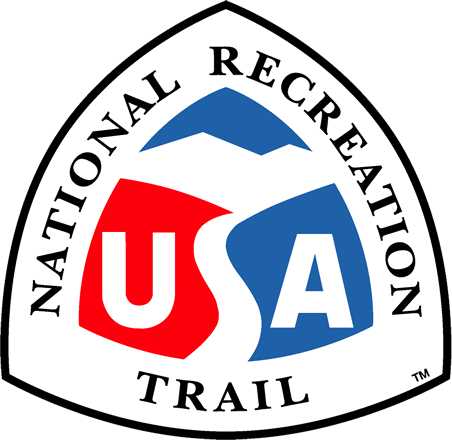 The trail primarily serves Temple, Texas which holds a population of just over 60,000. The town has one of the largest medical facilities in the State and has a very diverse soci-economic make-up. Walking is the highest priority to the citizens of Temple as they have responded to survey after survey requesting additional trails like the one at Lions Park. The trail was built with grant funding from Texas Parks and Wildlife along with the City's matching funds. The surfacing chosen was chosen primarily due to maintenance concerns and thus far, maintenance has been an easy task in comparison to other soft surface trails in town. The trail is used in all types of events and activities including triathlons, walks for the cure, Easter egg hunts and various other local and regional events as planned by Parks and Leisure Services, Scott and White Hospital and many other local organizations (support letters attached). Maintenance of the trail has been fairly simple thus far as the lower loop is relatively maintenance free at this point with only point areas mowed routinely. The upper loop within the cedar grove, which is primarily base material and crushed limestone, is smoothed with a small box blade periodically by the parks maintenance staff. In addition, the local Disc Golf Association and area Adopt-a-Park participants help to ensure that the trail is free of debris. This trail serves primarily park users. However, a bike lane connection is easily made from the trail to the main collector level street by the park which has a bike lane provided. Future additional pedestrian trails are planned to connect via a water utility corridor being made to the north of the park - this will allow a greater connection to adjacent neighborhoods through wooded areas north of Lions Park.